Romantico is a sophisticated, meticulously designed sofa that can adapt to classic and contemporary tastes alike. Before being a sofa, Solare is a state of mind. There’s literally nothing in it that we didn’t design having your total comfort in mind. What’s even better, is that you can relax in style. Indeed, its details and the quality of its materials can be told from miles away. Such is the case with Sorpresa, a welcoming sofa designed to tackle your need for comfort from every angle. Style it the way you want and let Spasso bring out the pleasure of sticking together. 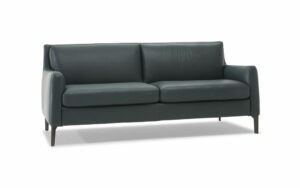 A sofa with an austere but comfortable design, ideal for spaces with a straightforward style.